Alt Immigration, or @ALT_uscis, is an alternative account for U.S. Citizenship and Immigration Services. According to Twitter’s lawsuit allegation issued April 6, DHS demanded to know the name, login information, phone number, mailing address, and IP address of the user behind the account. The agency also requested that Twitter keep these demands a secret. “Permitting [Customs and Border Protection] to pierce the pseudonym of the @ALT_USCIS account would have a grave chilling effect on the speech of that account in particular and on the many other ‘alternative agency’ accounts that have been created to voice dissent to government policies,” Twitter states in its lawsuit document. Alt Immigration was created more than two months ago, on the same date that President Donald Trump issued his first executive order on immigration. Since then, its mystery administrator has used the account as a platform to criticize Trump’s immigration policies. 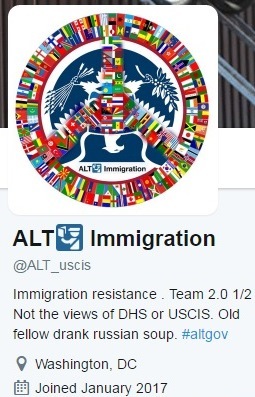 Alt Immigration is one of several rogue accounts representing Federal agencies that have been created over the past few months; other such accounts include Rogue NASA and Rogue FEMA. These accounts may be the result of Trump’s regulations on what information agencies can share via social media. Twitter’s website states that the company only releases user data in case of emergency or through proper legal processes. The lawsuit states that a government agency must show that a law has been broken if a user is to be unmasked, and that DHS has proven no such violation. The document also alleges that anonymous free speech is protected under the First Amendment.